We hosted a craft night a few weeks ago and wanted to share the final products. We had a blast with all the gals that showed up and are so happy we had a great turnout! Here are some fun Halloween Decor and Fall Decor items that we created that night. The best part about these crafts is that they’re double-sided. This is a simple sign made out of pine wood. 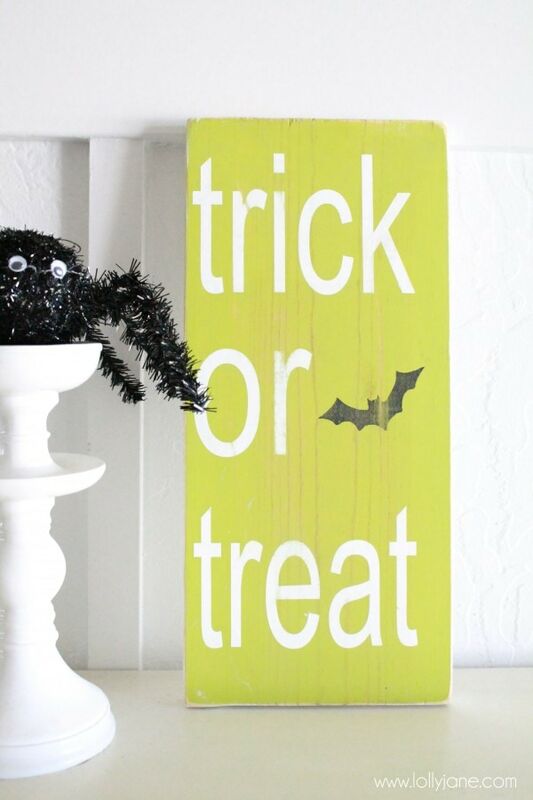 It’s an 8″ x 15″ board that we painted green then used our stencil technique and painted the words white with a spooky black bat. 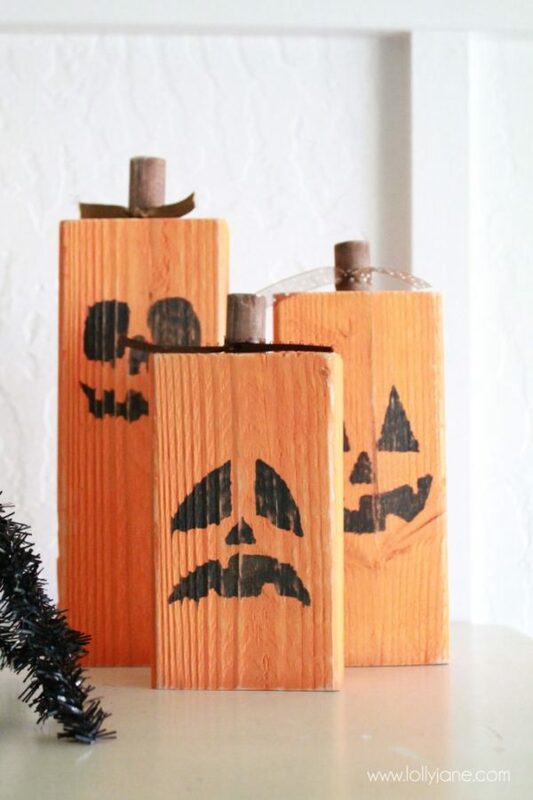 In the past we’ve shown a full tutorial for these pumpkins but simplified them for our craft night. 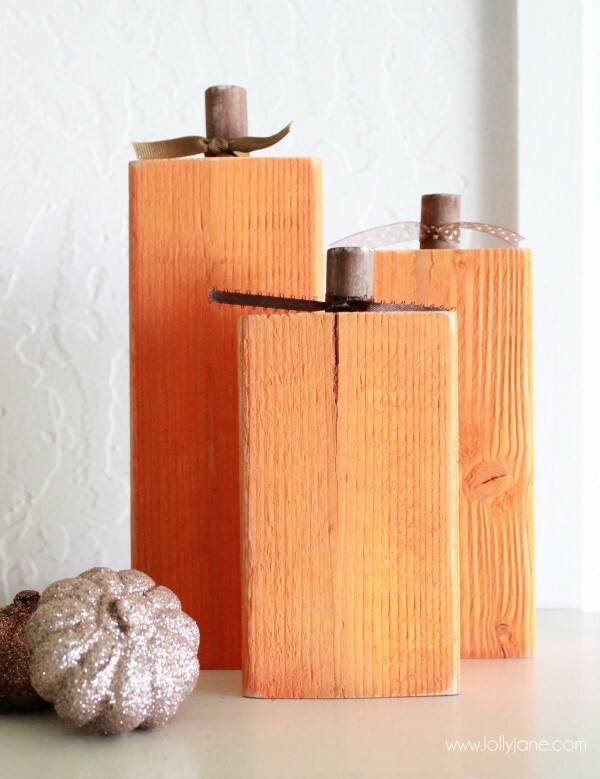 To make these, cut a 2×4 into 3 heights: 9″, 7″ and 6″. 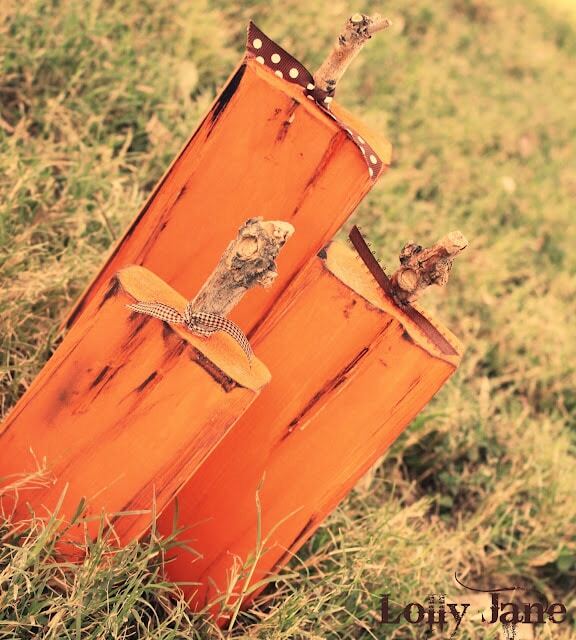 Paint them with orange acrylic paint. When dry, freehand creepy faces onto them. 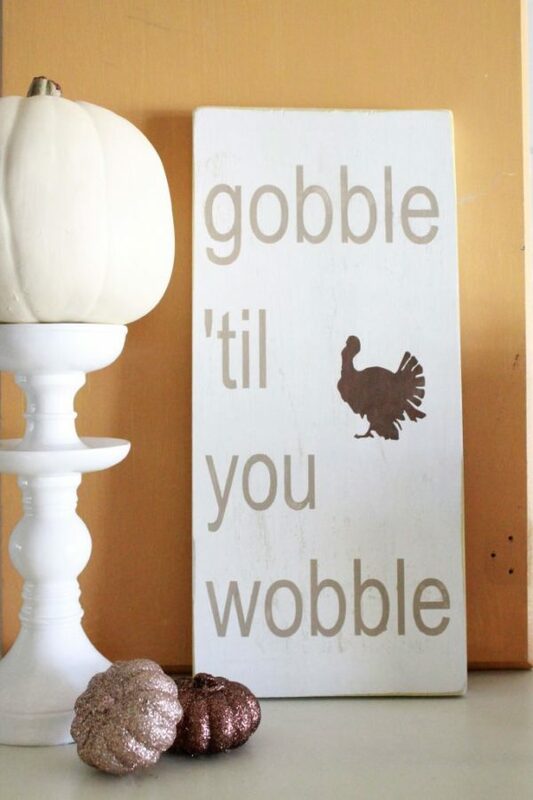 OR, you can use a vinyl cutter as a stencil like we did. For the “stems”, we cut 3/4″ dowels into 1″ heights. We pre-drilled the “pumpkin” top with a matching drill bit and after painting the “stem” brown with acrylic paint, we applied a dab of wood glue and stuck in the “stem”. Pretty darn easy! This is the flip side to the Trick or Treat sign. We painted the sides white so it’s neutral for both holidays. Using the stencil technique, these were a breeze to whip up. 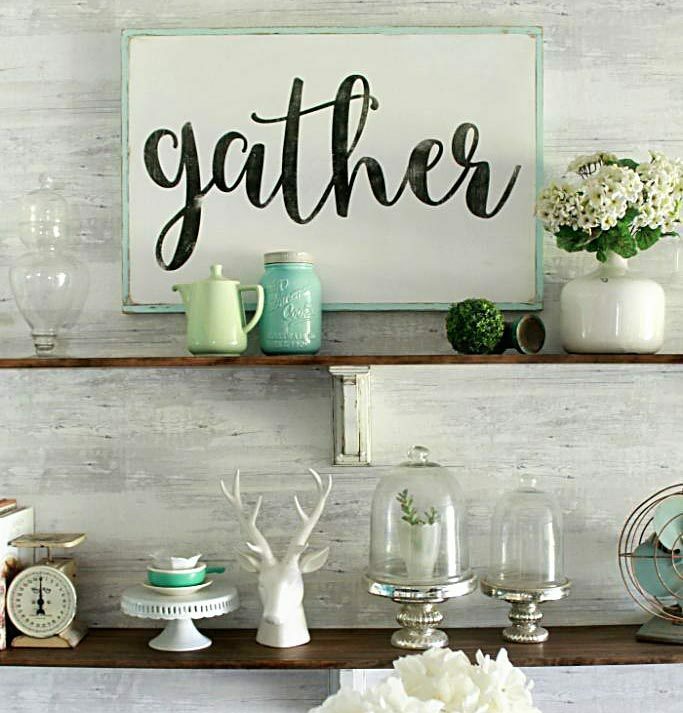 and our many, many Halloween ideas like our EEK Marquee Letters. Very cute idea girls! Love that they are reversible, that is genius! Love this!!! I sent you an email – I would love to order some! I love these! I emailed on Saturday and am hoping you still have some kits left! Emailed you back Amy! (: We have more! So cute! and I love that it’s reversible! Do happen to know the brand of paint and name of color used on trick or treat sign? The green color is the one I’m wondering about. I absolutely love that color and was curious if you knew. Let me know thanks! It’s Citron green by DecoArt/Americana brand..available at any craft store!